I’m a freelance photographer and photojournalist based in Dallas. I specialize in event, assignment, and disaster photography. If you are in need of head-shots, or if you have an interesting concept I’m always looking for people to photograph for my portfolio on a TFCD basis. Feel free to contact me at 214.621.2467 or at rbostickphoto@aol.com. You can also leave your contact information in the reply box below (all information will be private and not visible). You can also find me on Facebook. I am an associate member of the American Society of Media Photographers, and a frequent contributor to the American Red Cross, The Dallas Observer, KTVT Channel 11 and various city departments. Dallas, Texas- March 6, 2016- Holt to be featured in Industry Alley’s Sunday Soiree Pop-Up on Sunday, March 6th, serving Izakaya inspired food and cocktails starting at 8pm. Starting Sunday February 7th at 8pm Industry Alley we’ll be hosting a pop up with some of Dallas’ most creative chefs. First up for Feb. (yes, we know it’s Super Bowl Sunday) will be the Misti Norris, creative genius of Small Brewpub. March will be the Master of Pop up Justin Holt of Lucia. and end Sunday Funday the right way! 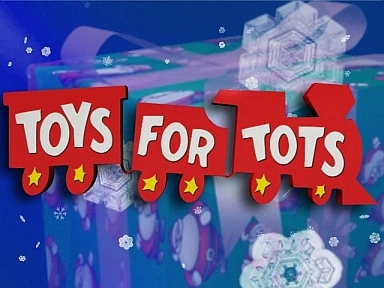 Every year, Toys for Tots provides toys for children who otherwise wouldn’t have much this holiday season. The need is great. But with a little effort, you can make a big difference in a child’s life. With this year’s deadline for donations coming up on us quickly, and being short on toys this year, help is still needed. Please visit the Toys For Tots website for the locations still receiving donations. Be nimble, be quick and bring some cheer to a child’s Christmas. The mission of the U.S. Marine Corps Reserve Toys for Tots Program is to collect new, unwrapped toys during October – December each year, and distribute those toys as Christmas gifts to needy children in the Dallas/Fort Worth Area.